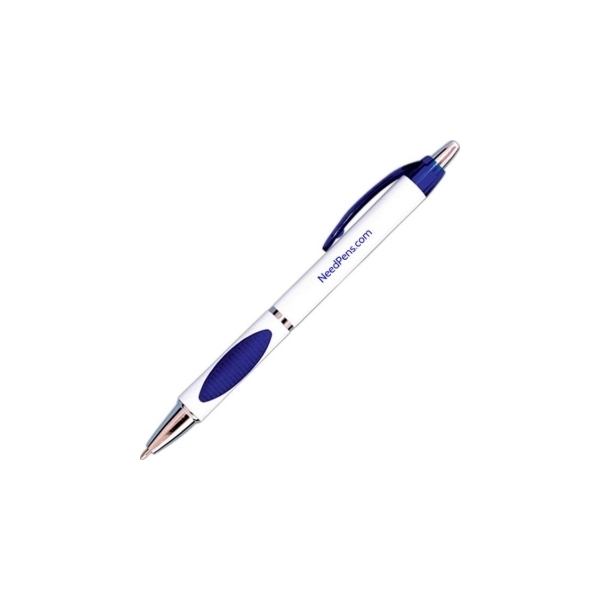 White barrel pen, chrome accents and a translucent clip with a matching Rubber grip. 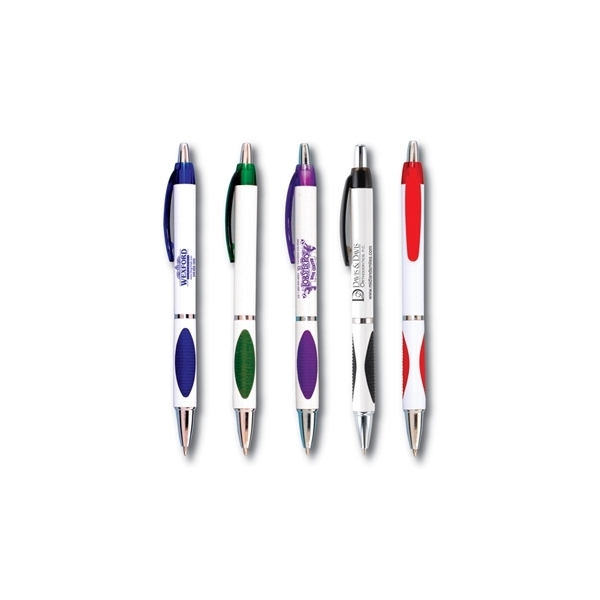 Some people call this pen the spot pen, but regardless of the name, this pen, when printed on the barrel with a color to match the rubber grip and the clip, will bring out your advertising message Medium point black ink. Set Up Charge: FREE! Price includes one color imprint. FREE Shipping! 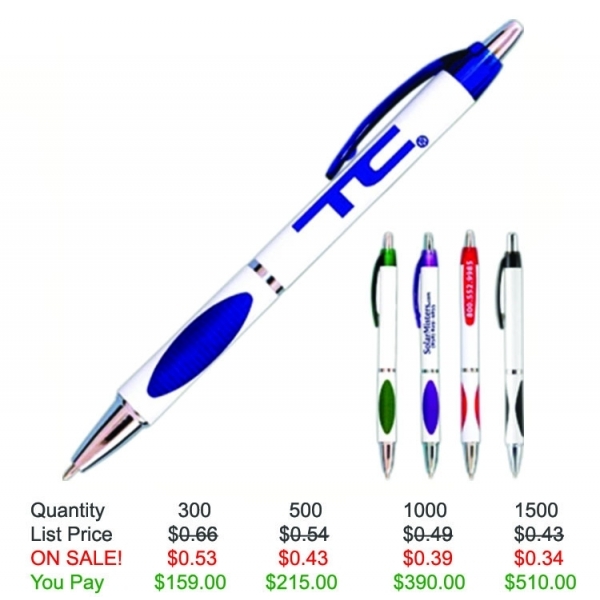 A great pen for the money and the pen writes nicely. Great product and we'd suggest them to anyone!